Finally flopped after a busy day and found time to blog! The decluttering continues. One of my New Year’s resolutions was to clear out one cupboard every week. This feels so much less intimidating than setting myself a targeting of doing them all in one go. I think I will get around to it at some point but there is never enough time, whereas clearing just one can be done as part of my weekly cleaning routine. 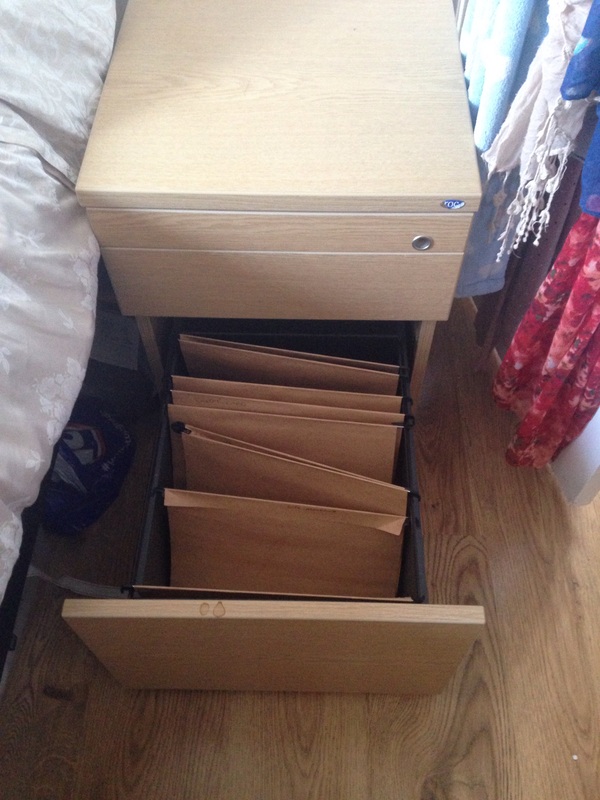 Today I did some decluttering of the filing cabinet in my bedroom. 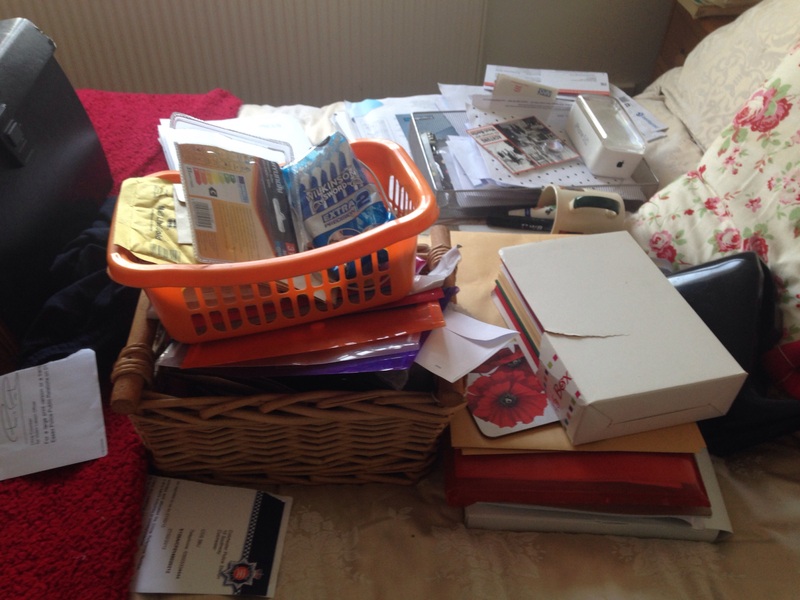 I have 3 large boxes of files under my bed containing everything from bank statements to school reports. 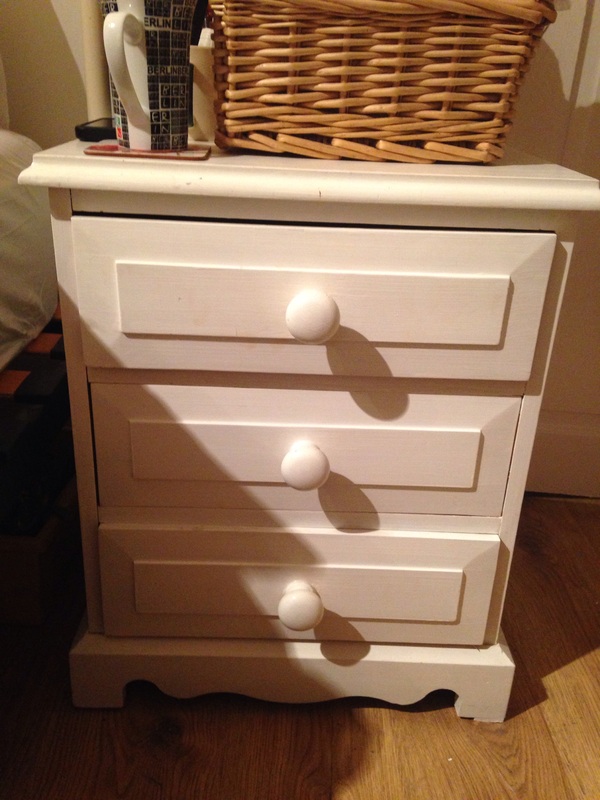 I don’t really need another separate filing cabinet, so I have removed it and replaced it with a solid bedside drawer unit that was spare for Mr S’s clothes. Much better! I also gave the tiles in the bathroom a good scrub with bleach as they were looking pretty grubby. We found time to visit my favourite charity shop too. The fact that it is open on a Sunday, is out of town and then sells all clothes at 99p makes it irresistible! Today I found two tops and two good work skirts: the labels say Gap, Per Una and Next. How could I not be happy with this? I donated some things too, still in the spirit of decluttering! How about you? Anybody found any great bargains this weekend? « President of the Aldi fan club! Sainsbury’s are selling mincemeat for 5p a jar.